The best thing about making these little morsels of heaven is that they are also full up of nutrients. They are bursting with healthy fats for brain development and brain function, antioxidants to fight disease, iron for oxygenation of the body and energy, protein for cell repair and growth. spread and flatten down the mixture. Refrigerate for a least 1 hour. Remove from the tin and prepare the icing. Blend all ingredients until smooth and there is no trace of any avocado lumps. 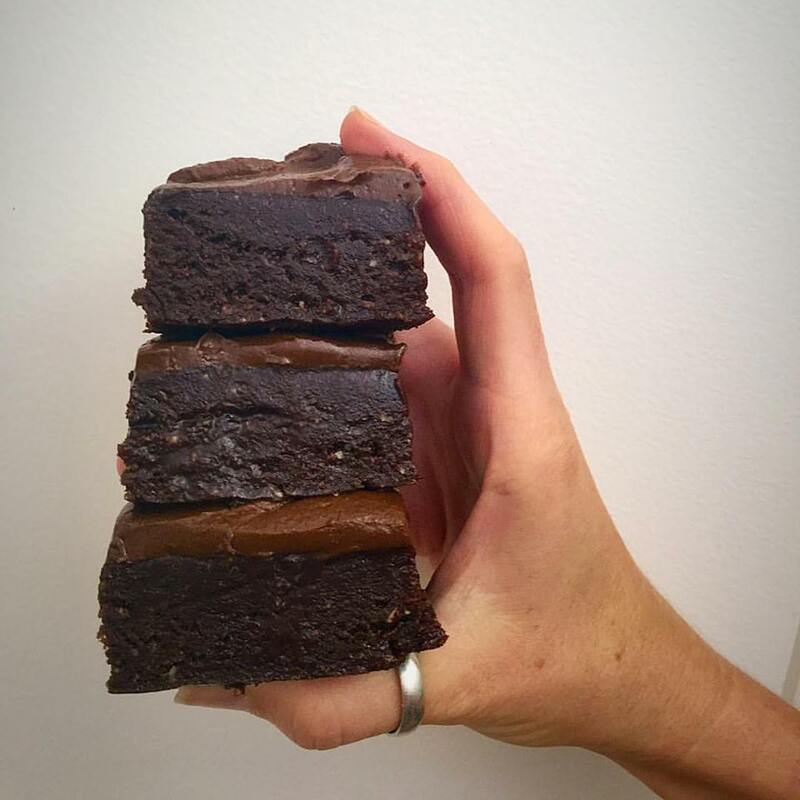 Spread over brownie and slice carefully with a sharp knife. Decorate with fresh berries, chopped nuts or shredded coconut. *maple syrup is not totally classified at 100% raw. I choose to use it instead of other sweeteners in raw food recipes because it has the best glycemic index.